When your company is investigating new Pharmaceutical Packaging Companies – try LF of America. 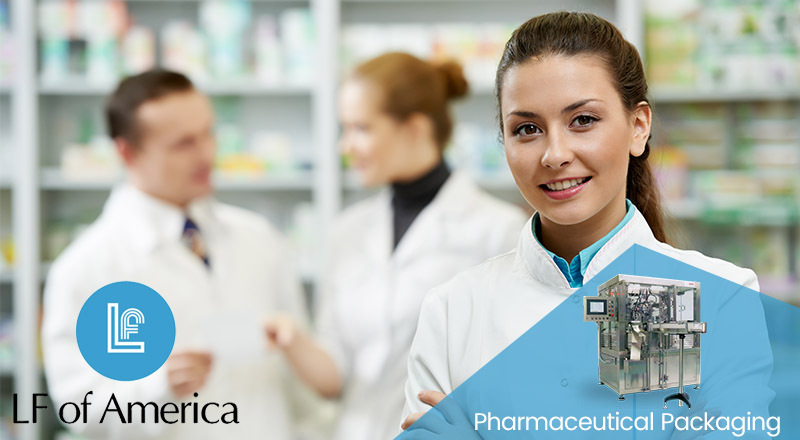 Established as a worldwide leader for providing custom packaging designs for the pharmaceutical industry at the lowest cost with the highest quality product. For over forty years LF of America has been recognized as the forerunner above all other pharmaceutical packaging companies. The pharmaceutical industry as a whole including peers and retailers have come to expect nothing short of excellence from LF of America products. End users including Doctors, Nurses, Pharmacist and patients all reap many benefits including: cost, safety, protection and overall ease of use to mention only a few. Our FDA registered facility meets and exceeds federal regulations with the most immaculate production environment. All of our filling are accomplished in an ISO 8 cleanroom following Cosmetic GMP guidelines (extending from a Quality System designed for Medical Devices). There are many different pharmaceutical packaging companies from which to choose but none of them will offer the quality and service you will get from LF of America. A continued commitment to excellence while always maintaining a green approach. LF of America was proud to be one of the first pharmaceutical packaging companies to use bioplastic for their strips. 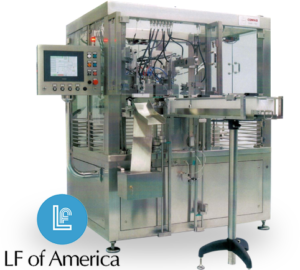 For many years the leading pharmaceutical companies have relied on LF of America to meet their unit dose packaging requirements. We accurately fill millions of single dose and unit dose packages every year. Our custom packing is designed and engineered to accommodate many different styles of pharmaceutical packaging. With over thirty different molding lines producing over three hundred and fifty million individual packages annually incorporating a variety of technologies. Injection molding for unit dose packaging, extrusion blow molding for unit dose packaging and injection blow molding for unit dose packaging. There is a wide array of principal containers available for the pharmaceutical industry today including: single and multi dose plastic containers, multilayer vials, bottles, droppers and caps, enema bottles, bellow bottles, bottles for vaginal douches, rectal and vaginal applicators. Our expertise at providing custom packaging solutions allows us to easily adapt per the client’s request and deliver the highest quality products worldwide. The next time your business finds itself looking at new Pharmaceutical Packaging Companies try the best. LF of America.